Two reports came out in recent times that seem to be slipping under the radar. The first, jointly authored by YES Bank and TERI-Business Council for Sustainable Development (TERI-BCSD) analysed the electric vehicle market in depth, and identified several early trends that portend to an encouraging sign. The other report, authored by International Solar Alliance, Deloitte India and World Energy Council, India, though focused on renewable energy integration into the grid, also discussed the potential of connecting the dots – using renewable energy to charge electric vehicles, thus enabling greater deployment of both. Both reports are timely, as they feed into the increased global discussion on electric vehicles from a global and an Indian perspective. However, as the Government of India change their stand on electric vehicles after some strong talk, and critics doubting the feasibility of electric vehicles in comparison to other fossil fuel-based power plants, there is a greater need to plot the emerging zeitgeist of the vehicle market, and identifying the future even as it develops in our midst. Contrary to the popular and sassy image of an electric Tesla S2, electric vehicles have been around for far much longer, and have been effective and functional. The common modes that have succeeded in the market so far are not these fancy cars and SUVs; rather, three wheelers and electric rickshaws have shown the way despite the lesser than optimal technology. Electric rickshaws, or tuk tuks, were first introduced in China by local and Japanese motor vehicle industries. These subsequently entered South-east Asia, with Manila allowing Japanese company Terra Motors to roll out e-trikes, as they are called locally into the public transport network with support from the Asian Development Bank. In India, e-rickshaws took off successfully after their introduction, especially in the metropolitan region of Delhi-NCR and Mumbai. This was not a unique phenomenon; instead, the product was actually pushed as a subsequent addition to electric bikes and scooters that were first introduced in the sixties and seventies. Interestingly, the history of electric bikes goes back to almost two centuries, with interest in them rising in the period between the world wars. With much research and development to back it, the market has truly taken off in Asia. YES Bank, in their report, notes how these two sectors have been so far the most successful in India, with more than 340 e-rickshaw manufacturers and scores of electric two-wheeler manufacturers operational in India. Interestingly, new entrants are being seen in both segments, especially from East Asia – e-rickshaws are imported from China and Japan, with sleeker designs. E-trikes imported from Sweden are also operated at niche locations inside Delhi-NCR. Even standard auto rickshaw designs are being re-imagined to go electric – Mahindra has recently launched a range of electric auto rickshaws. The addition of the lithium ion battery has actually created greater distance and battery performance options for this segment. An important way to demonstrate the utility of electric vehicles for long distance travel is public transport. We often forget that the mass rail transit systems (MRTS or metro), tram services, and electric locomotive trains are all electricity powered vehicles. E-rickshaws in various avatars are now mainstream. The next generation of electric vehicles with an early potential however, as the reports note, are going to be electric buses, a relatively new phenomenon. Critics have started to compare them with regular fossil fuel buses, saying that they will be less effective than CNG buses. They say electric vehicles are very expensive: an electric bus will cost Rs 2.5 crore versus a CNG bus, which costs Rs 85 lakh. Such an analysis discounts key factors that have already demonstrated on many occasions. A 2016 report by Global Green Growth Institute and Centre for Science, Technology and Policy (CSTEP) on electric buses for public transportation clearly highlighted the significantly lower cost of ownership of purely battery-operated electric buses when compared to diesel and CNG buses. Another factor, fuel cost, is where electric vehicles win in this analysis: compared to Rs 13-20/km for CNG buses, electric vehicles report a fuel cost of only Rs 10/km. Also, as the report noted, even though maximum speed of electric buses is lower than diesel or CNG buses, majority of city transport buses (90%) operate at slow or medium speeds, where the much-touted efficiency advantage of the fossil fuel buses is completely lost. 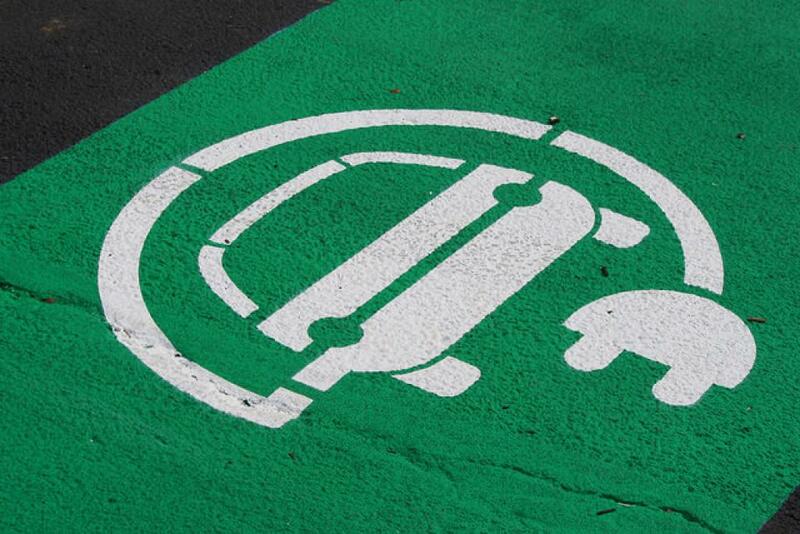 Deloitte’s report noted that the amount of electricity needed for charging all the vehicles is modest. As per their estimates, even with a 100% electrification of transport modes in India, electric vehicles will represent only 3%-4% of the country’s overall demand. This is not infeasible – renewable energy can be easily integrated to plug the gap while meeting the 175 GW target that India aspires for. Alternatively, even thermal power sector can be asked to ramp up production, given how even the government of India expects to actually see a fall in PLF from the present 62% to 58% by 2022 if the 175 GW target is achieved. The best possible scenario, globally estimated so far, is of 33% of all cars owned by 2030. In India, 2% of all two-wheelers sold currently are electric; YES Bank and TERI-BCSD estimate that a 30% penetration in two wheelers by 2030 will actually lead to a 27% reduction in carbon dioxide emissions from this transport segment. Similarly, buses can see a reduction of carbon dioxide emissions for the segment by 22% on a 30% penetration. Another accusation is the increased pollutant load that thermal power will cause due to the large deployment of electric buses in India. Critics say the increased electricity demand will lead to greater pollution, as the electricity supplied across the country is predominantly generated by coal fired thermal power stations. That charge is a problem of the thermal power sector, and can be easily tackled. Since 2015, the government of India has been trying to implement new environmental norms for coal fired thermal power stations across the country. CSE estimates that this will lead to substantial reductions in pollutant loads, including particulate matter, sulphur dioxide and nitrogen oxides. The resistance of the thermal power sector has been particularly problematic, with the matter entering the judicial domains. Ensuring the implementation of these standards, leading to the wide scale adoption of pollution control technology, can therefore easily mitigate these concerns, which are being exaggerated. A simple case of following the law can resolve this problem. Electric vehicles are most likely here to stay. They are certainly not a magic bullet to several environmental problems – no solution should even claim otherwise. However, dismissing it without seeing the trends and the likely scenarios, developing without active government support – is shortsighted. India should take this opportunity to move towards a cleaner future, tapping into its growing economic clout to make this transition. Electric vehicle capitals of the world: What markets are leading the transition to electric?